I’ve been attending conferences my entire career that bring in big names and talk big ideas. And while there’s certainly value in that kind of big-picture thinking, rarely do I feel like I walk away with real, practical ideas that can be applied to my professional life. Recognizing that disconnect jumpstarted the thought process that led to PivotPoint: Breakaway Thinking for Advancing Manufacturing. The goal of the event was to give attendees practical and real-world strategies that they could then turn around and apply to their own business. 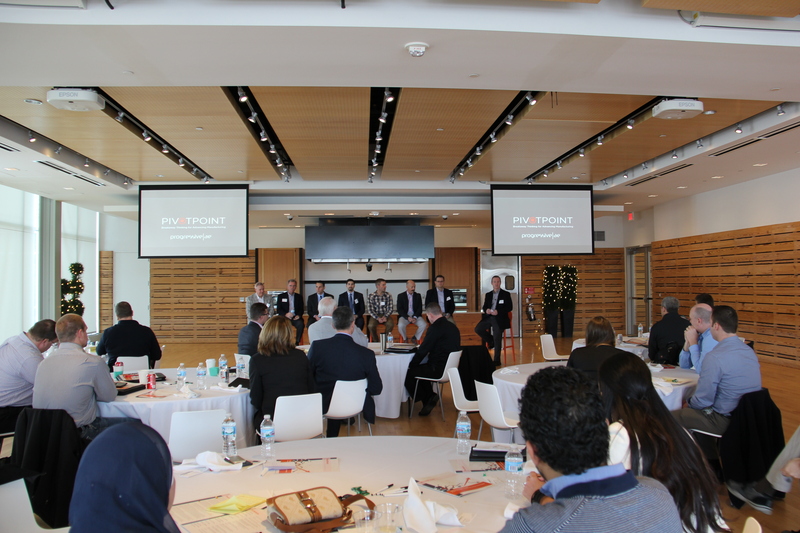 We were incredibly lucky to have a talented and knowledgeable group of experts interested in joining us as presenters. In total, attendees heard from seven professionals and leaders whose job is help manufacturers work better – whether that’s in the realm of financing, talent attraction and retention, production, succession planning or design. Preparing Your Business for Growth – DWH is a business and financial advisory firm specializing in professional turnaround and transition services. Rabih Jamal, a managing partner with the firm, talked about preparing your business for growth. He outlined five stages of growth businesses go through (existence, survival, success, take-off and maturity) and strategies for preparing for each stage. He also identified three important areas for consideration in planning (people, process and property). As a business grows, it’s important to remember that cash flow is king and, recognizing the next level of success requires a different mindset than the present level thinking. See the full presentation. 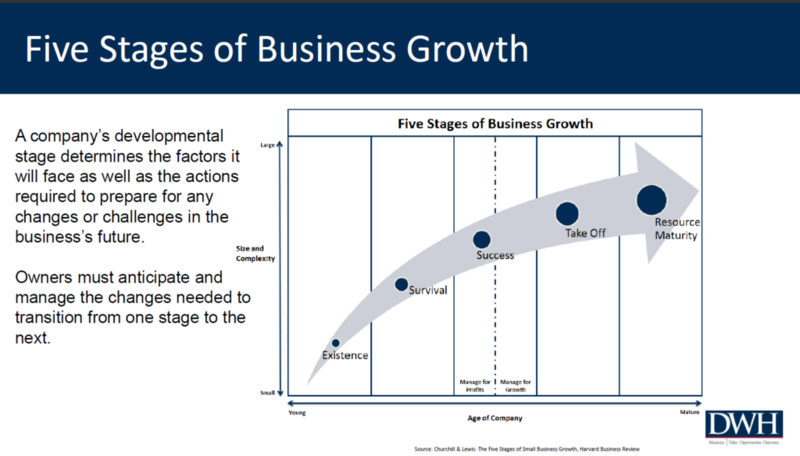 A slide from Rabih Jamal’s presentation “Preparing Your Business for Growth” shows the Five Stages of Business Growth. Business! It’s All About the People – Bob Roth, President/CEO of RoMan Manufacturing gave a brilliant talk about the importance good talent has played in RoMan’s success. Over the years, they have learned that while money helps attract good talent, it is often not enough to retain it. Building and maintaining a good culture has led the company to impressive retention numbers. For them, good culture means workers have flexibility, an engaging work environment, and open communication within teams. See the full presentation. A Journey into Lean – Steve Brenneman is the CEO/Founder of ATC Trailers. During the 2007 economic downturn, ATC experienced a 60% drop in sales. Steve took this as an opportunity to learn more about Lean and apply it to how ATC worked. Steve shared several before and after images that showed an improved work flow and process. It was incredible to see the effect Lean has had on ATC’s profitability and the way they work. Between 2009 and 2014 the company went from a negative net income to industry-leading per capita net income. See the full presentation. 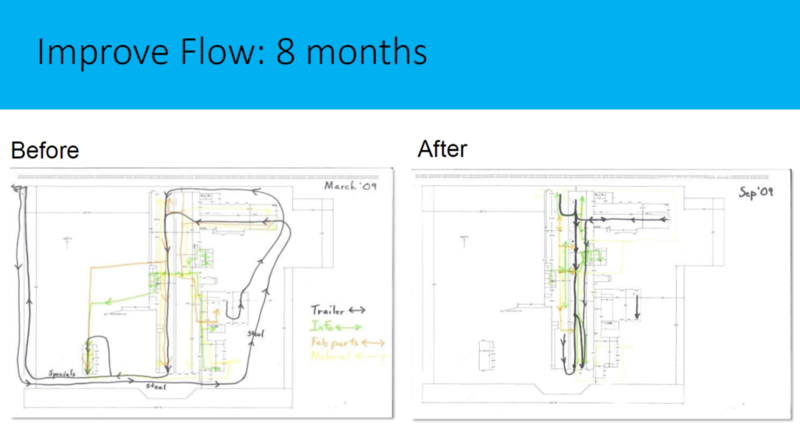 A slide from Steve Brenneman’s “A Journey Into Lean” presentation shows the company’s improved process flow between March and September of 2009. Enhancing Production Line Flow – Tim Stansfield is president and founder of IET, Inc. an industrial engineering services firm. He shared from his experience of more than 4,500 engagements of the elements you need to successfully enhance production. Every situation is unique. 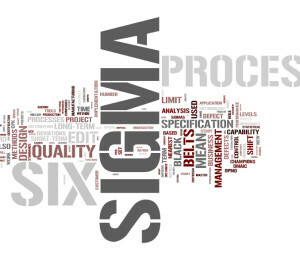 Developing a clear understanding of the current state of product demand, capital utilization, labor efficiency and utilization, production interferences and performance priorities over time is key to success. Creating future state expectations means developing a shared understanding of goals and necessary steps for achievement. Realizing sustained success depends on establishing performance standards, setting up corresponding measurement programs, and implementing timely adjustments based on results. Benefits are best optimized through a balance of shared local autonomy and central control. See the full presentation. The Elegant Solution – Sometimes, the best answer to a complicated question is the simplest. As an architect who has worked with manufacturers for over 30 years, I know how owners and managers are attracted by the next great piece of technology that will fix their problems. However, I find a simple answer is often close, but just out of view. 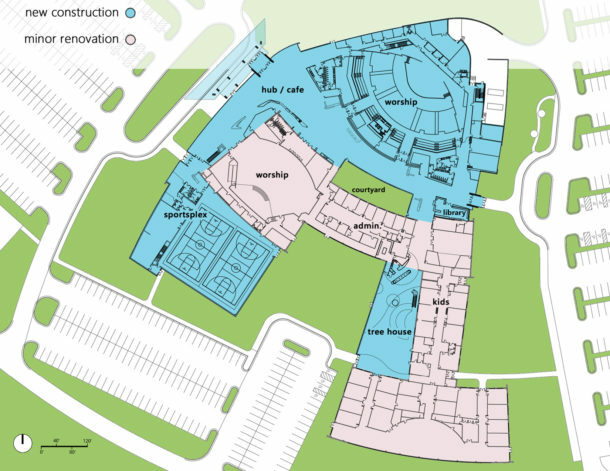 Plant layout, visibility, and the way space is used, has a huge effect on production flow. 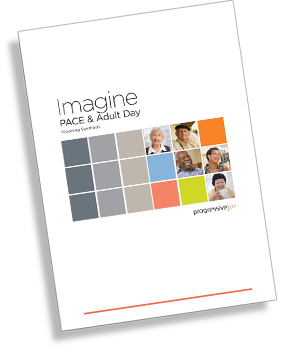 I presented a case study around a current client, Foremost Graphics, that demonstrated the power of connecting production and visibility through pursuit of an elegant design solution. See the full presentation. 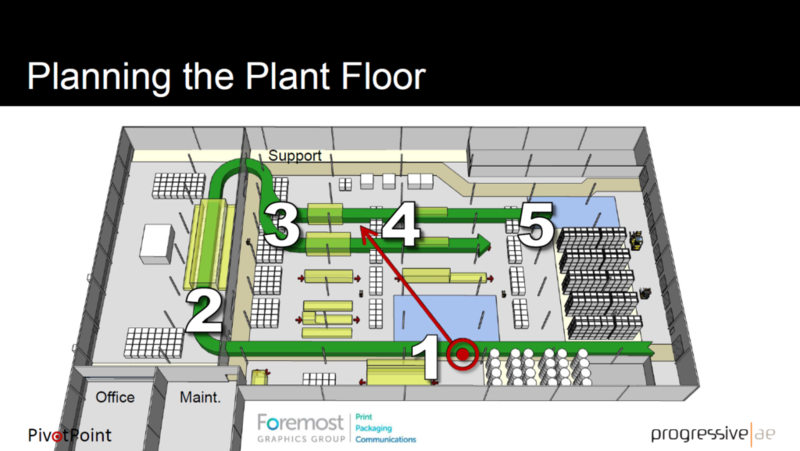 A slide from David Shull’s “The Elegant Solution” shows the importance plant layout and visibility play at Foremost Graphics. Value Stream Management – We enjoyed a second presentation from Steven Brenneman at ATC Trailers. In 2015, Steve and I worked together to help streamline his process by breaking down barriers between his production and office teams. Steve shared how his vision of success is based on creating a seamless flow from the customer to product delivery by fully integrating sales, engineering, production and accounting into a unified “value stream” business structure. See the full presentation. Bridging the Gap with Transparency – Andrew Galardi, Sr. Relationship Manager – Commercial Banking with Bank of America/Merrill Lynch shared insight into how financial institutions evaluate opportunities and outlined options for demonstrating viability in supporting financial obligations. In addition to the typical keys to success, (cash flow, liquidity, low credit line utilization, and prompt collection of receivables), Andrew emphasized the value of knowing your industry, having a “Brag Book” and exercising your banker as you consider options. See the full presentation. 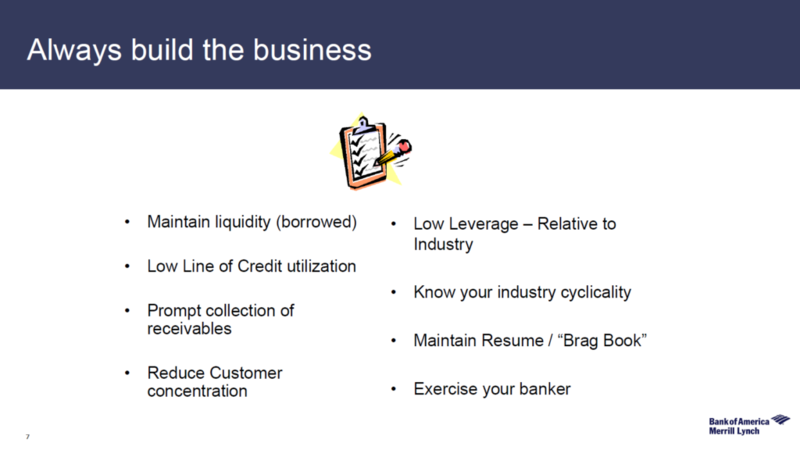 A slide from Andrew Galardi’s presentation “Bridging the Gap with Transparency” shows key ways owners can always be building their business. Energy Creativity – Greg Northrup is the president of Sustainable Partners LLC, also known as Spart. Greg shared his expertise around leveraging Combined Heat and Power (CHP) as a source of improving production performance. Local generation of power improves efficiency and energy independence. Waste heat from energy generation can be used to support production processes. Factors to assess in considering CHP include how much energy is used, reliability of utility power and compatibility with production process. See the full presentation. 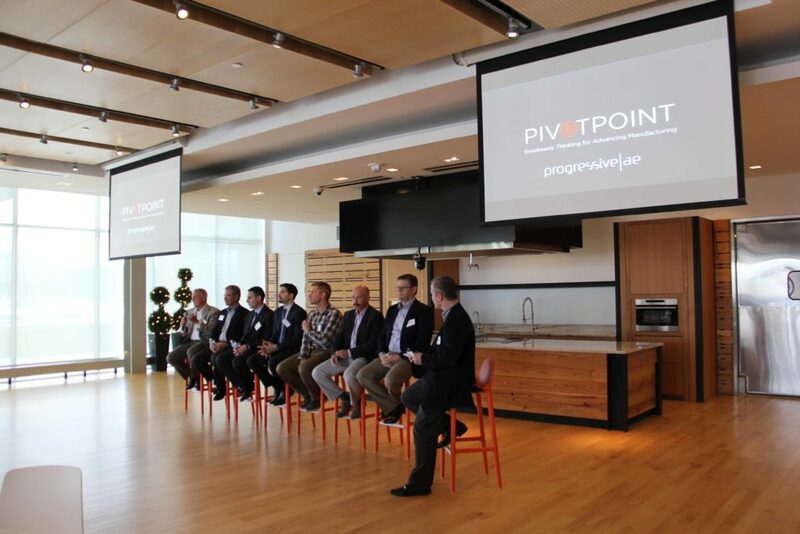 PivotPoint concluded with an “Ask the Experts” panel led by Progressive AE’s Jim Horman. Overall, we enjoyed a day of lively discussion, varying topics and took away key strategies to implement in the future. Bringing together experts and leaders from the industry really gave local manufacturers the opportunity to network and connect. We look forward to bringing in more experts and additional topics to future events. We hope you’ll join us! Want to be notified about our next event? Sign up below and you’ll be the first to hear! Subscribe to our industrial news feed!